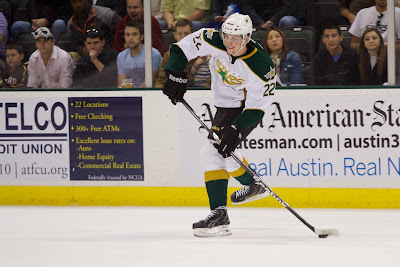 The American Hockey League and the Texas Stars have released the club's 2013-14 schedule. 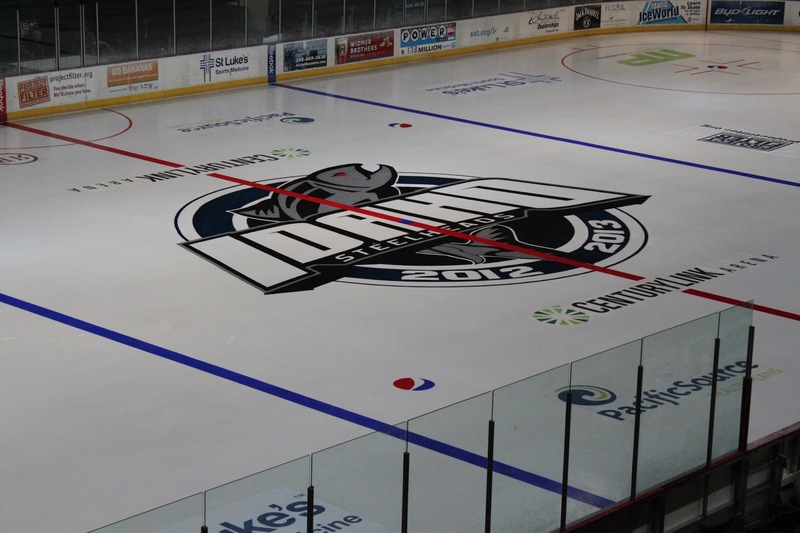 The 76-game schedule features all Western Conference opponents including newcomers Iowa and Utica six and two times respectively. Texas will have the good fortune of two seven-game homestands while their longest road swing is only five games. That's a reversal of last year, which featured a homestand max of five games and two six-game road trips. The Stars only have two three-in-three weekends this year, down from last year's six. November will be the Stars' busiest month this year with 13 total games. Last year it was December, which featured 14 games in 31 days (not including two days off for Christmas). Texas will play OKC and San Antonio the most at 12 games a piece. Abbotsford and Charlotte are next up at eight each. After that, all non-division opponents have four games each with the exception of Iowa (6), Rockford (2), Rochester (2) and Utica (2). Rockford is a bit of an odd one to only have two games, but if you're going to get two extra against Iowa, they have to come from somewhere. An additional twist will be two school games played in the morning. Both are on the road. The Stars only foray into weekday morning games was against Syracuse a few years ago and was not attended well over all. Overall, it seems like the schedule is more favorable than last year's on the face of it. Of course, you never know until the season starts. Playing a team 12 times could be a blessing (like the Rampage last year) or a curse (like the Barons last year). 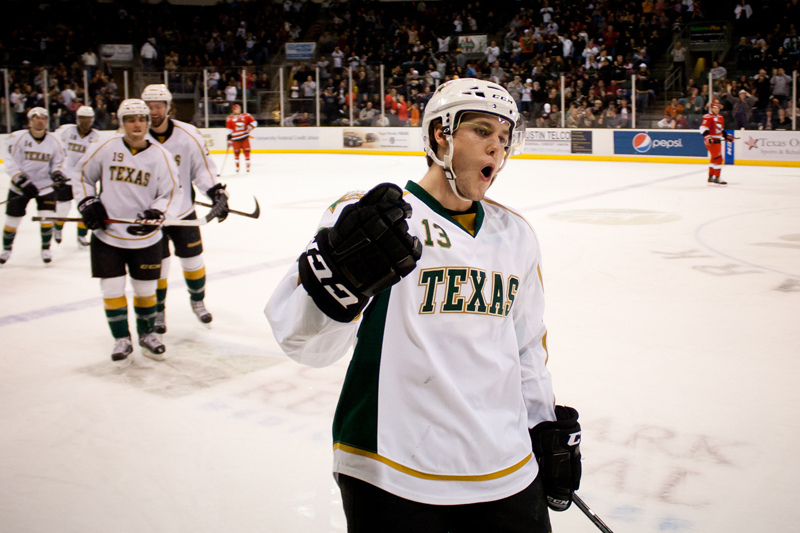 The Texas Stars, proud AHL affiliate of the Dallas Stars, announced today their complete 2013-14 regular season schedule. The Stars will open the 2013-14 season with a two-game weekend at Cedar Park Center beginning on Saturday, October 5th at 7:00 p.m. against the Chicago Wolves, followed by a Sunday, October 6th 5:00 p.m. matinee against the Rockford IceHogs. 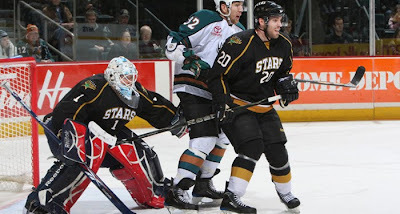 The Stars will close out their 76-game regular season schedule on Saturday, April 19, 2014, at home against the Abbotsford Heat at 7:00 p.m.
Home game start times at Cedar Park Center will continue to be 7:30 p.m. for all weeknight games (Monday-Friday), while Saturdays will start at 7:00 p.m. and Sundays begin at 5:00 p.m., with the exception of the February 2nd game against Oklahoma City, which will start at 1:00 p.m. Highlights of the home schedule include Texas Stars' Stars & Stripes Weekend presented by Sport Clips, which will be held on November 8th and 9th as the team hosts the Milwaukee Admirals for two games. Pink in the Rink Weekend presented by Cedar Park Regional Medical Center falls on February 21st and 22nd with games against the Charlotte Checkers, the first visit of the season for the West Division rival. The Stars will hold Military Appreciation Weekend presented by Round Rock Auto Group on March 21st and 22nd when the Oklahoma City Barons come to town. Popular returning promotions include H-E-B Nights (Monday - Thursday); Winning Wednesdays and Texas Lottery Lucky Row Nights (Saturday). The Family Four Pack returns for Saturday games, presented by new partner Coca-Cola. 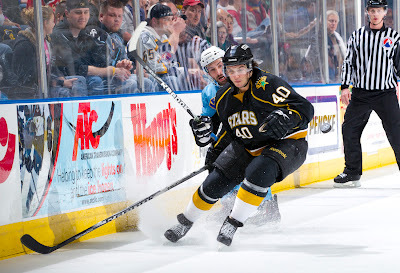 On Friday nights, a favorite promotion has been expanded as the Texas Stars will now present $3 Beer & Wine specials. The Stars' full promotional calendar will be released at a later date. The Stars' longest homestands of the year will be a pair of seven games stretches, the first spanning from January 22nd vs. Iowa to February 4th vs. Oklahoma City and the second running from March 21st vs. Oklahoma City to April 11 vs. San Antonio. Texas' longest road trips will be three separate five-game spans. Their longest single road trip will be a five-game, ten-day Midwestern trip from October 25th to November 3rd, while the Stars also have a stretch where they play 13-of-17 games away from Cedar Park Center, spanning from February 8th to March 19th. The Stars' entire 76-game schedule will be against fellow Western Conference opponents. Texas will face their West Division colleagues a total of 40 times, while the remaining 36 games come against the Midwest (20 games) and the North (16 games) Divisions. Their most frequent adversaries this season will be intra-division rivals San Antonio and Oklahoma City, both of whom they will face twelve times, while they will play eight games each against Abbotsford and Charlotte. Unlike last season, this year Texas will play two school-day morning games, both on the road. The Stars will face the Lake Erie Monsters for a 10:45 a.m. ET faceoff on February 25th at Quicken Loans Arena and then will battle the Abbotsford Heat for a 10:30 a.m. PT start on Tuesday, March 4th at the Abbotsford Entertainment & Sports Centre. Texas will only have three occurrences of the dreaded three-in-three, consisting of three games in three straight days; they are spread out between once in October, February and April. The Stars play a fairly balanced home vs. road schedule this year. The first half of the season, which spans from October 5th through January 11th, will see Texas play 18 home games and 20 road games. During the second half, which goes from January 15th to April 19th, has the Stars playing 20 home games and 18 road games. Texas' busiest month of the season will be November when the team plays 13 games, while their busiest day of the week remains Saturday, which totals 25 home and road games. 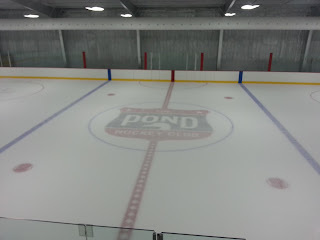 Home Games by Day: Mon. - 0, Tue. - 2, Wed. - 8, Thu. - 0, Fri. - 10, Sat. - 14, Sun. - 4. Road Games by Day: Mon. - 1, Tue. - 6, Wed. - 5, Thu. - 0, Fri. - 7, Sat. - 11, Sun. - 8. West Division (40): ABB - 8, CHA - 8, OKC - 12, SA - 12. 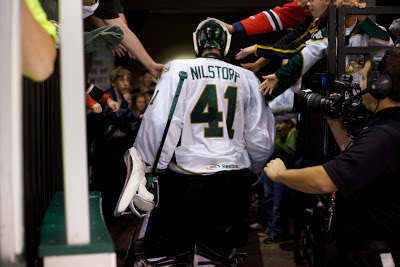 Midwest Division (20): CHI - 4, GR - 4, IA - 6, MIL - 4, RFD - 2. 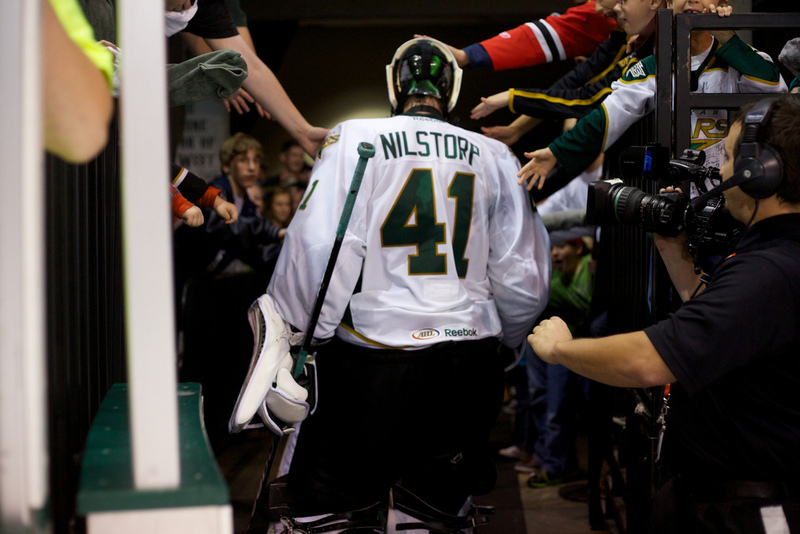 North Division (16): HAM - 4, LE - 4, RCH - 2, TOR - 4, UTI - 2. The summer plods on and less than a month from now, the Dallas Stars prospects will take the ice in their new threads for the Traverse City Tournament. The roster for that tournament was released yesterday and it features a lot of current and future Texas Stars. Depending on how Alex Chiasson performs in training camp, you could even say it contains some 'former' Texas Stars too. Italicized players are signed to Texas only. * - Rinat Valiev is the only player here without a contract to Dallas or Texas or drafted by Dallas. It is very promising to see the Dallas club able to put so many actual prospects on the ice. 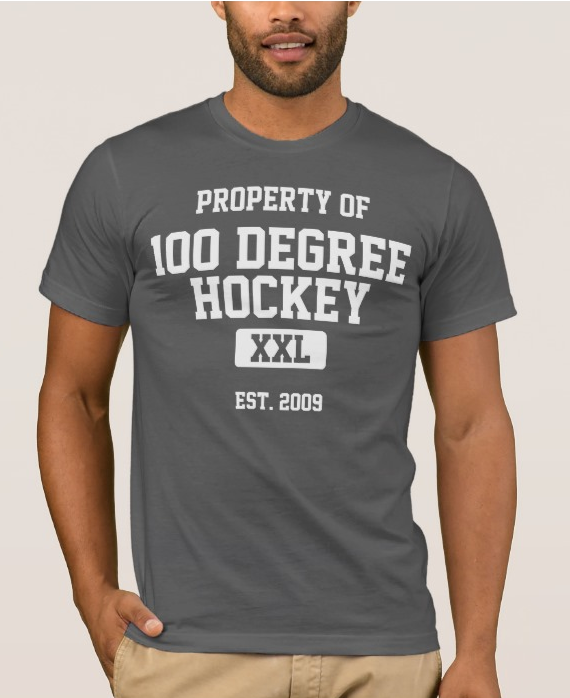 As Defending Big D notes, most years the Dallas prospects camp roster has been populated with more than a few players that were never going to be considered for an NHL or perhaps even AHL job. This year, only three players round out the roster as not being Dallas contracted or drafted. Two of those have contracts in Texas. Rinat Valiev is the only player in neither category. The 18-year old defenseman played last season in the USHL for the Indiana Ice, scoring 6-7-13 in 36 games and racking 43 PIMs. 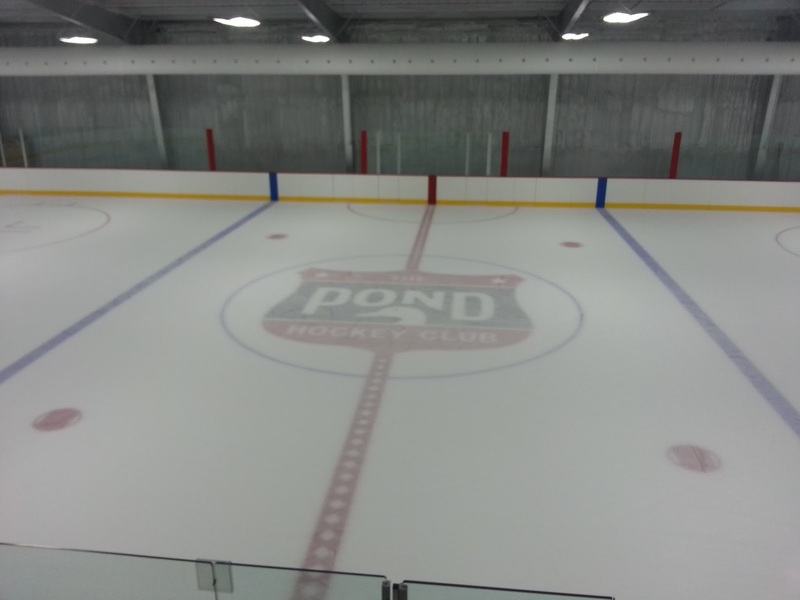 The tournament begins September 5th at the tip-top of the Michigan peninsula. If you want to get there from here, the hot tip is to fly through O'Hare. It's not a terribly cheap trip, $414 round trip on Kayak as of right now, but the chance you have to mingle with hockey elite watching in the stands can be worth it for some.